on boot time under „Advanced“ you can chose to boot the old kernel – never the less – backup your system completely before progressing. compiling kernel takes a lot of CPU processing power and time. cputime so to speak – but ALSO harddisk space. 14GByte in my case. On distributed-memory systems, you can use distcc to farm out compile jobs to other machines. This takes a little bit of setup, but it can really speed up your build if you happen to have some extra machines around. if you need NFS support – it is said to be better (performance wise) to be compiled into the kernel than loaded as a module… can’t proof that. But as always – keep it small and beautiful (Unix Philosophy) – the less software you need – the better for security and stability. „if you were to compile all possible functions as modules, the kernel would be as small as possible, and you would only suffer a small performance hit the first time a module was loaded. However, you don’t want to make everything a module, because some functions need be available at boot: for instance, you couldn’t read the partition that holds the modules if you didn’t already have the needed code in the kernel. headers are enough to compile kernel-modules but not enough to compile the actual kernel. … so let’s get started. drwxr-xr-x  4 root root 4.0K Jun 28 15:32 .
drwxr-xr-x 10 root root 4.0K Jun 27 11:06 ..
here you could append a custom string to your kernel version… kind of *brand* it. 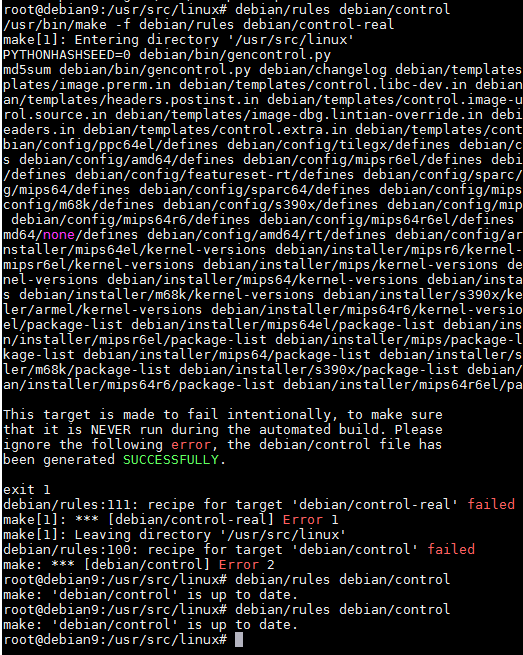 so now you have the most recent kernel compiled that is available through debian repositories. 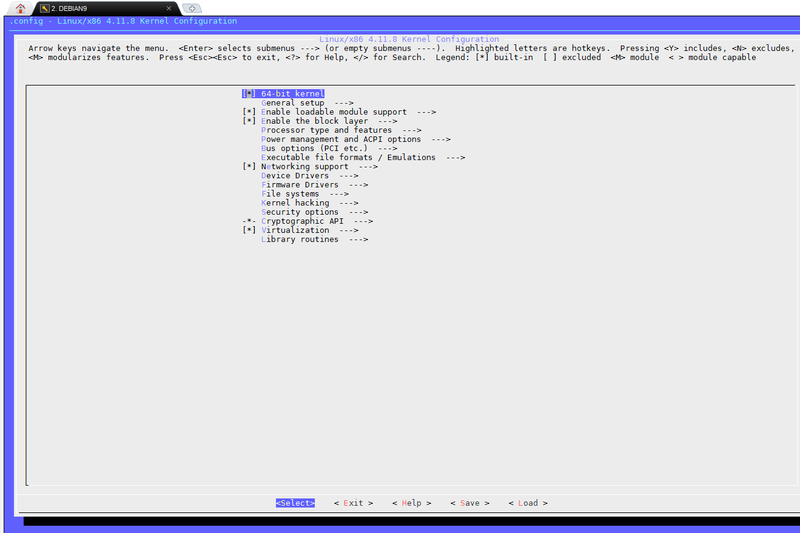 The last two commands will install the build dependencies required by the kernel build process. This will check out the Debian packaging. „dist“ is normally the distribution codename such as „wheezy“ or „sid“ (unstable). For the very latest version, usually based on an upstream release candidate, use „master“. Note that this will download several hundred megabytes of data. This will download the linux upstream source (and the last released Debian patches). Depending on which version you are trying to build, you might need to override APT’s version selection or download a tarball from people.debian.org instead. debian/rules:78: *** Cannot find orig tarball linux_4.11.3.orig.tar.xz. Stop. This unpacks the upstream source and merges it with the Debian packaging. 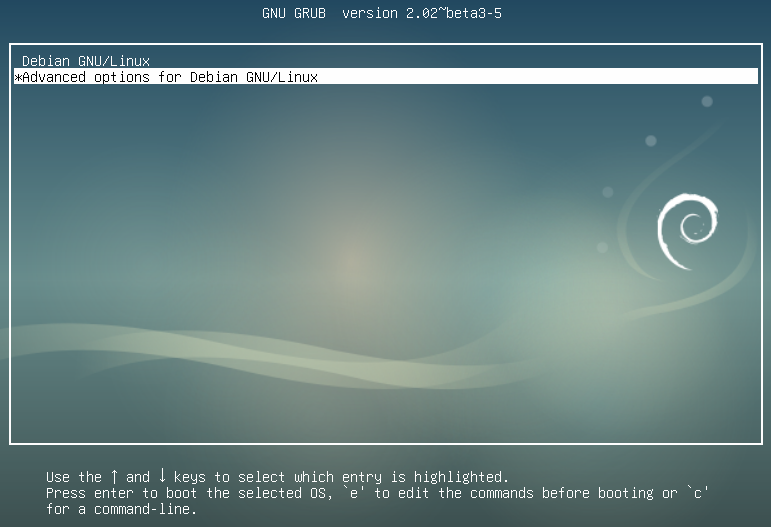 This generates a Debian package control file based on the current definitions of the various kernel flavours which can be built. will meassure the time it takes to compile and start the compilation process with two processes running at the same time using two cpu cores. 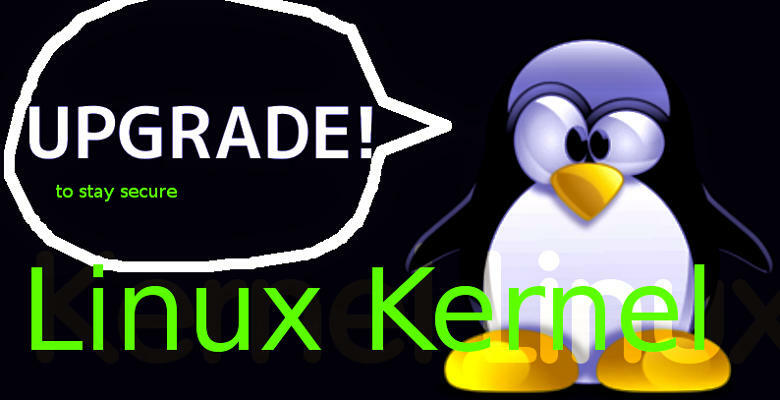 As a result of the build, a custom kernel package linux-image-3.2.19_3.2.19-1_i386.deb (name will reflect the version of the kernel and build number) will be created in the directory one level above the top of the tree. 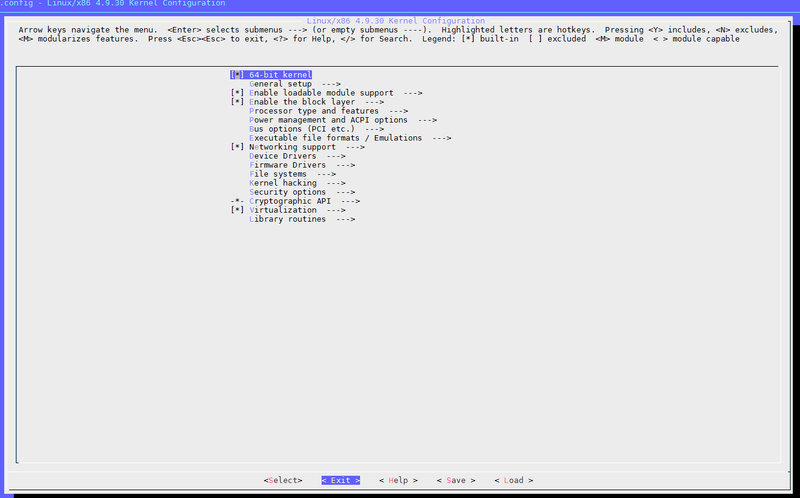 dpkg-deb: building package 'linux-headers-4.11.3cuztom+' in '../linux-headers-4.11.3cuztom+_4.11.3cuztom+-1_amd64.deb'. 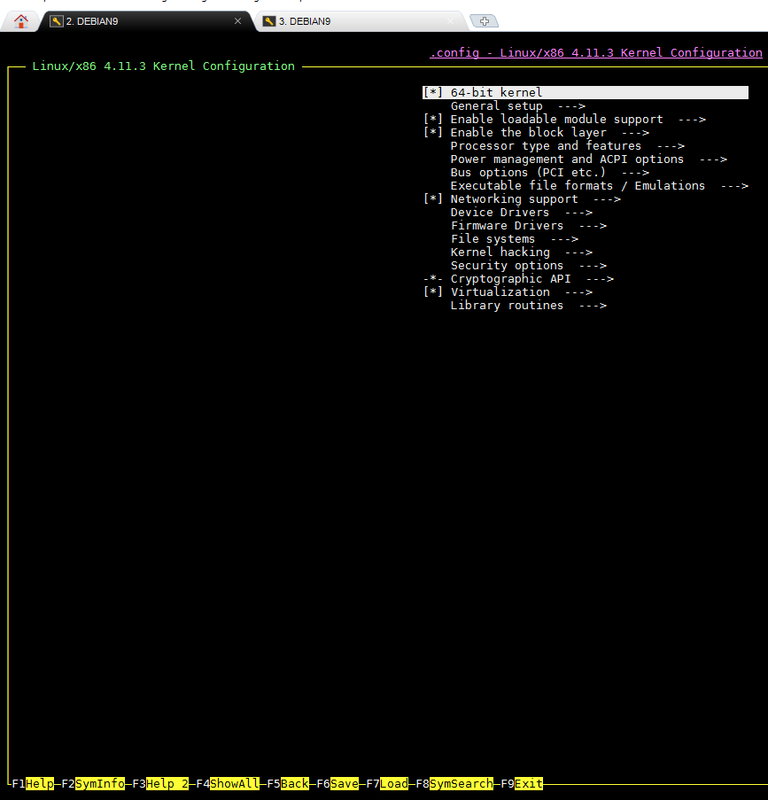 dpkg-deb: building package 'linux-libc-dev' in '../linux-libc-dev_4.11.3cuztom+-1_amd64.deb'. 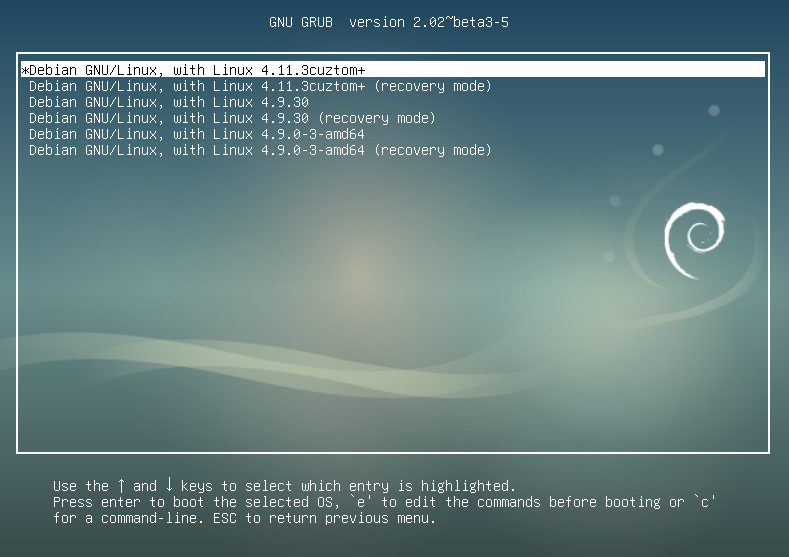 dpkg-deb: building package 'linux-image-4.11.3cuztom+' in '../linux-image-4.11.3cuztom+_4.11.3cuztom+-1_amd64.deb'. make: *** No rule to make target 'target'. Stop. 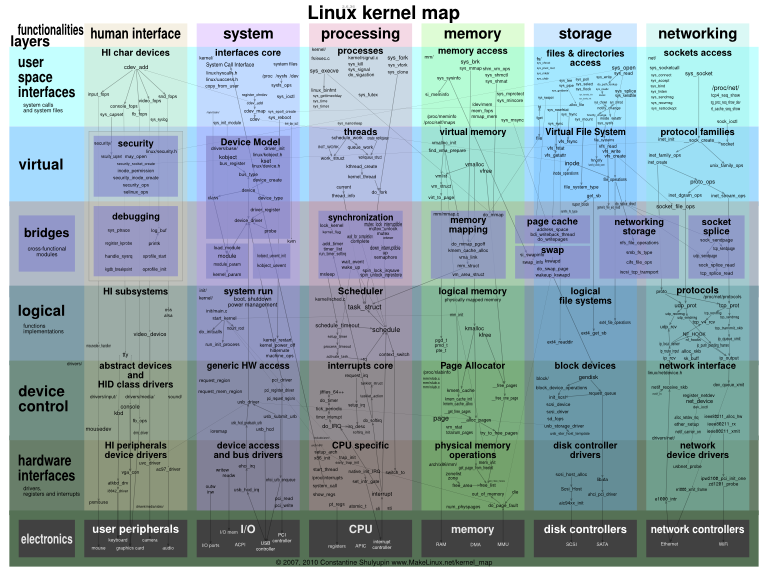 so the next challenge is to get the very-latest kernel sources straight from the Torvalds… and try to compile those. – Initial AMD Raven Ridge graphics support (sans no display due to no DC/DAL yet), Vega fixes, and other updates. – Many Allwinner DRM changes. – DRM sync objects are landing. – Raspberry Pi / VC4 improvements. – Various updates to the Intel DRM driver. – Large directory support for EXT4. – XPad updates and Google Rose Touchpad support. – AES-128-CBC support in Fscrypt, the file-system generic crypto code currently utilized by EXT4 and F2FS. – Possibly the AMD SME/SEV security features supported by new EPYC CPUs. – Continued push for more HDMI CEC drivers. Stay tuned for thorough Linux 4.13 kernel feature coverage once the merge window opens following the 4.12 debut. kill the processes associated with it and avoid using it in the future. High level machine check handler. Handles pages reported by the hardware as being corrupted usually due to a 2bit ECC memory or cache failure. When the current CPU tries to consume corruption the currently running process can just be killed directly instead. This implies that if the error cannot be handled for some reason it’s safe to just ignore it because no corruption has been consumed yet. Instead when that happens another machine check will happen. Handles page cache pages in various states. The tricky part here is that we can access any page asynchronous to other VM users, because memory failures could happen anytime and anywhere, possibly violating some of their assumptions. This is why this code has to be extremely careful. Generally it tries to use normal locking rules, as in get the standard locks, even if that means the error handling takes potentially a long time. Some of the operations here are somewhat inefficient and have non linear algorithmic complexity, because the data structures have not been optimized for this case. This is in particular the case for the mapping from a vma to a process. Since this case is expected to be rare we hope we can get away with this.